Saving funds that would otherwise be taken away from public schools. Save Our Public Schools is an organization whose main focus is to lift the charter school cap in the state of Massachusetts, while also ensuring that public schools do not loose the funding they need to make sure all children have equal education opportunities. This campaign was created and managed through the Dewey Square Group of Boston, Massachusetts who was our direct client. 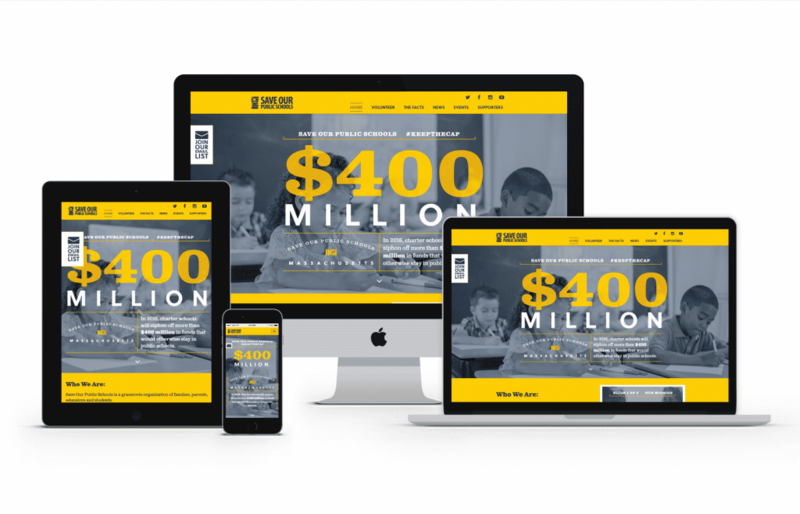 GoingClear Interactive designed and developed the new Save Our Public Schools website. The site boasts a bright, fresh design with lots of big beautiful typography and high resolution images. Some nice features include a sticky header, a newsletter pop-up form and really cool hover animations throughout. We especially love how the News page came out, and it even includes sorting and filtering for both rress releases and individual news articles. 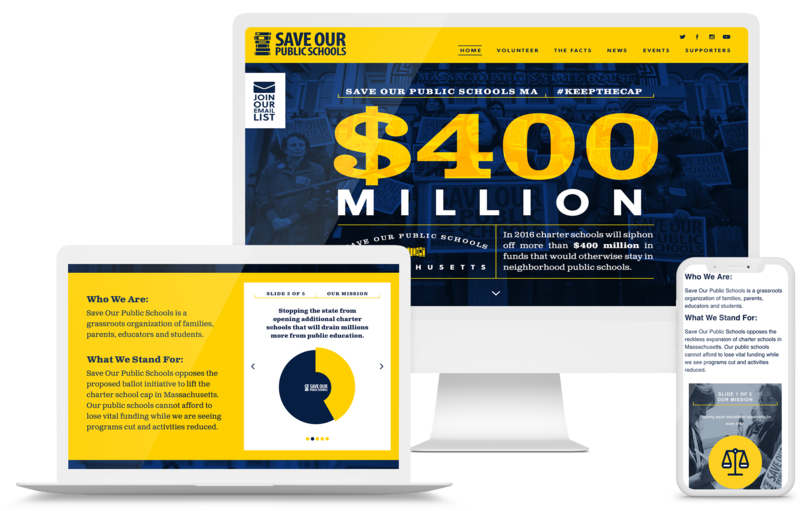 The new Save Our Public Schools website was built using WordPress as the CMS (Content Management System) along with a fully mobile and tablet friendly design leveraging Twitter Bootstrap for the responsive framework so visitors are guaranteed to have a flawless experience on any device. Please visit the website to view our design work or scroll through the photo gallery below. WEBSITE PROJECT NOTE: Though we designed and developed this campaign website, we have no political interest in the results whichever way they fall. For us, we wanted to design something impactful, engaging and that gets results through the use of clean, creative design and elegant web development coding along with a customized CMS system that allows for easy updates.